Well, it really has been quite a while since I’ve written about my experiences with home brewing. To start, I want to thank all of the people at the Winnipeg Brew Bombers, especially my friend Jeremy, for all of their guidance, knowledge, and help. If it wasn’t for these folks I would not be improving at all in brewing beer. I’ve brewed three new beers since the last time I posted and I wanted to give out the recipes and also talk a bit about some of what I’ve learned since the last time I brewed. First, the beers. I’ve brewed a Pumpkin Spice Latte Stout (Milk Stout with coffee, spices and pumpkin), a Margarita Gose (A salty-sour beer with lime juice) and a Russian Imperial Stout (Based of the Brew Dogs DIY recipes). If you want, the Brew Dogs have handed out all of their recipes and you can get them all right here. What’s fantastic about it is that it will give you a whole range of information about the style of beer. When you are brewing a style of beer using the BJCP rules there is a certain range for things like ABV (Alcohol Content), IBUs (International Bitterness Unit), SRM (A measurement of colour) and it even gives you an expected Original Gravity. This is all really useful if you are thinking you might want to submit a beer you brew to a home brewing competition. Most of these competitions judge beers using the BJCP style guide, so if you “fall into the green” you are meeting those style guidelines at least for those aspects. You’ll also see in that picture some more information about the mash, carbonation and fermentation measures. You can adjust these based on what type of brewing method you’ll use (Right now it is set for Brew in a Bag, Full Body but you can choose from any number of options). You can even design a recipe using extract if you aren’t quite ready for all-grain brewing. Beer Smith also provides you with a Cloud Recipe search where you can see other recipes created by other brewers and use them for inspiration. It also allows you to choose what type of equipment you are using to brew. You can either choose from a list of equipment options, or create your own. Probably one of the best things that can be done in Beer Smith is scale the recipe. I, for example, brew 2.5 gallon batches while many people tend to do 5-10 gallon batches. Using Beer Smith, you can take one of those larger recipes and scale it to your specific equipment. It will scale all the ingredients including grain, hops, adjuncts, etc.… to be exactly what you need to brew that recipe yourself. I’ve used Beer Smith for my last three beer recipes and I’ve had a great deal of success with it. On brew day you can print out the “brew steps” page that will provide you with all the information you need to brew your beer. I’m posting the brew steps for all my recipes so you can take a look at them and brew them if you want. Beer Smith isn’t free. It does offer a 21-day free trial, and after that I’d say it is well worth the money. If you are interested in it, you can find it here. There are a number of other Home Brew apps but I don’t have any experience with them. If you use a different one that you like better, keep using it. If it works for you, and you’re getting good beer, keep doing it and let me know about it in the comments! This past week I had the opportunity to attend my second ever Winnipeg Brew Bombers meeting. For those of you who are unfamiliar with the home brewing club, the Winnipeg Brew Bombers have been around for quite some time. Each year they average close to fifty members who have various levels of home brewing experience. I decided to ask a few questions of their president, Rob Mieth, and do a write up on this really cool club. The meetings of the club take place on the second Tuesday of every month and rotate between being hosted at Half Pints or Fort Garry. The two meetings that I’ve had the fortune of attending have both been at Half Pints. While having no official mission statement, the goal the Winnipeg Brew Bombers main goal is to make each one of its members a better brewer and to create more awareness about good craft beer. One of the ways this is done is through sharing of knowledge, tasting of homebrew from members and providing feedback, and talking about craft beer and brewing in general. My first meeting which I attended back in November, I had the opportunity to learn from some of these homebrewers. The conversation at the meeting was all about answering questions members had about a variety of brewing topics. Some of these were surrounding water chemistry, yeast strains, adjuncts, mashing techniques, basically anything members could think of. The more experienced home brewers stepped up and answered the questions. David Rudge, president and head brewer of Half Pints, was also on hand to add his two cents to the answers. This was a great opportunity to learn from those who have the experience and I found a great deal of value in it. What was really exciting about this meeting was the announced competition. Each year there are typically 1-2 internal competitions held between the brew bomber members as a way of getting some feedback on a particular style of beer or giving people the opportunity to learn about brewing. The competition announced in November was the “Supermarket Sweep”. It was a great opportunity for me to learn how to brew from a very good and experienced brewery, Mister Jeremy Koop, and to go through the process of creating a recipe and buying some non-traditional brewing ingredients and trying to find a way to make a beer that tastes good. This competition, getting people to brew with new people and try new things, is one of the most important parts of the brew bombers for Rob: “The friendship and networking aspect of being involved with a group of people who share the same passion for good beer.” For me, brewing with Jeremy was an opportunity to not only make a new friend but also learn from his experience and build my own personal knowledge for brewing. ton of different styles of beers ranging from IPA, Saison, Stout, Winter Warmer, and Lagers. Each team was required to give a presentation about their beer and this brought out some pretty funny presentations. The atmosphere of the meeting was incredibly friendly. Great comradery, friendship, and a lot of laughs. There were some really good beers that came out of this competition including the winner, a Winter Warmer made with Manitoban wild rice. For me, this club provides a unique opportunity to meet with people who are passionate about beer and who work very hard at brewing for the sake of brewing. There are people of all ages and levels of experience and it’s a great way for a brand new brewer to learn and grow and become better. 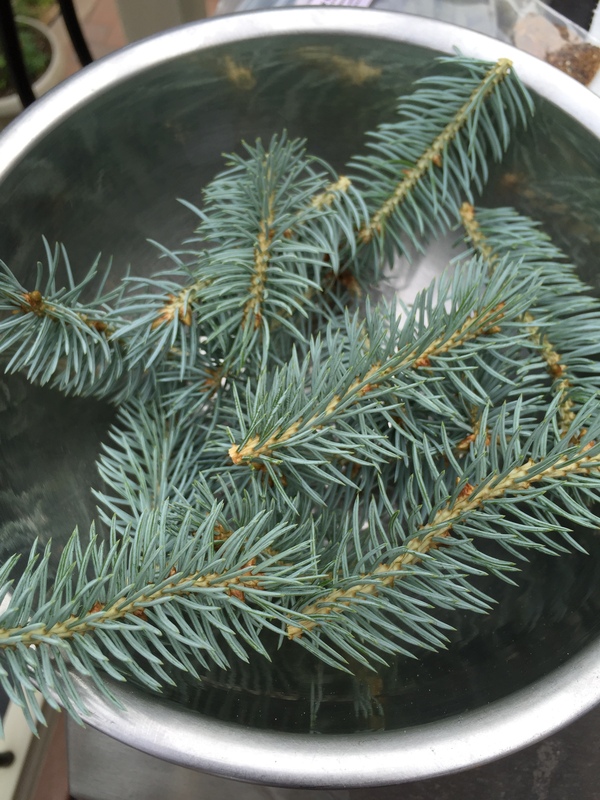 As the last of my Spruce Tree IPA begins to dwindle down it comes time to brew once again. This is my second batch since getting back into scratch brewing and I wanted to try another style of beer I really like. Anyone who has followed this blog knows that Peak Organic White IPA got my top pick for the Craft Beer Advent Calendar last year. I’ve had a number of White IPAs and it is definitely a style that I really enjoy. I also like to be creative and try things I haven’t had before. It’s why I got into home brewing, I wanted to try different things out, see what works and what doesn’t, and make beer I want to drink. So, rather than the tradition orange and coriander combination oft found in White IPAs, I went with lemon and thyme. 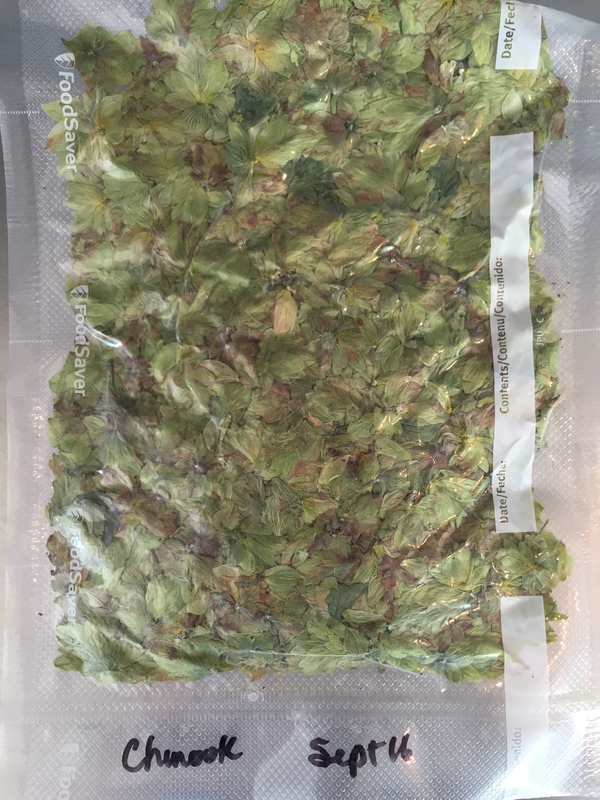 I never did get around to posting an update to my Spruce Tree IPA. It turned out really well. I was very happy with it and the spruce definitely comes through. I’ve had the opportunity to share it with a number of people who I trust and overall the reception has been good. I do end up with a bit of cold haze in the beer and there are times when the spruce isn’t as strong as I’d like, but overall I am happy with it. I did make a few of mistakes and I am trying to learn from this time. First off, I didn’t treat my water. For those who don’t know chlorine and chloromine are often found in city water. It’s a way for them to ensure the water clean. Chlorine boils off during the brew process, but chlormine does not and can interact with the proteins in your wort and make for a funky taste. I lucked out on my Spruce IPA that I didn’t end up with a noticeable change with this interaction, but this time I treated my water to remove the chloromine. This should improve this batch of beer. The second mistake I made was not cold crashing. I was new to doing this before I picked it back up and something I’ve recently learned is that you want to cool your beer down after the boil as quickly as possible. This is a cold crash. It also helps with the cold break to allow the particulate in your wort to drop to the bottom so you don’t transfer it over to the fermenter resulting in a clearer beer. As well, dimethyl sulfide is a compound which forms in wort when it is hot. This is boiled off but if you don’t cool your beer quickly it can form again resulting in off flavours in the finished beer. Again I was lucky to avoid any significant off flavours, but something I wanted to learn from and made sure I did on this batch. The third (yes I made three) mistake I made was not considering the hop profiles. I was so excited to get started I just grabbed a few hops not even considering how they might play with the spruce. This time around I made sure to consider this and end up using Chinook hops from Prairie Gem Hops. Overall, I am quite pleased with this batch so far. It smells really good and I’m hoping that the taste will be there at the end of the day as well. As I am still new to this, I don’t mash. So for this recipe I used extract. I also ended up using pellitized hops for the knockout. Now I just play the waiting game. I’ll let you know how this one turns out.